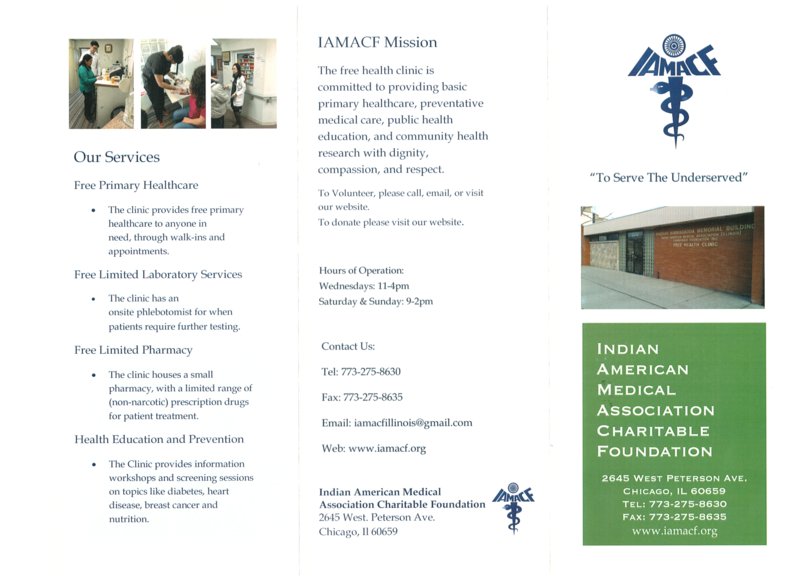 The Indian American Medical Association Charitable Foundation Free Health Clinic is a non-profit organization that was established in 1994. While located in the West Ridge community, we care for patients from all part of Illinois, including the city and suburbs of Chicago. 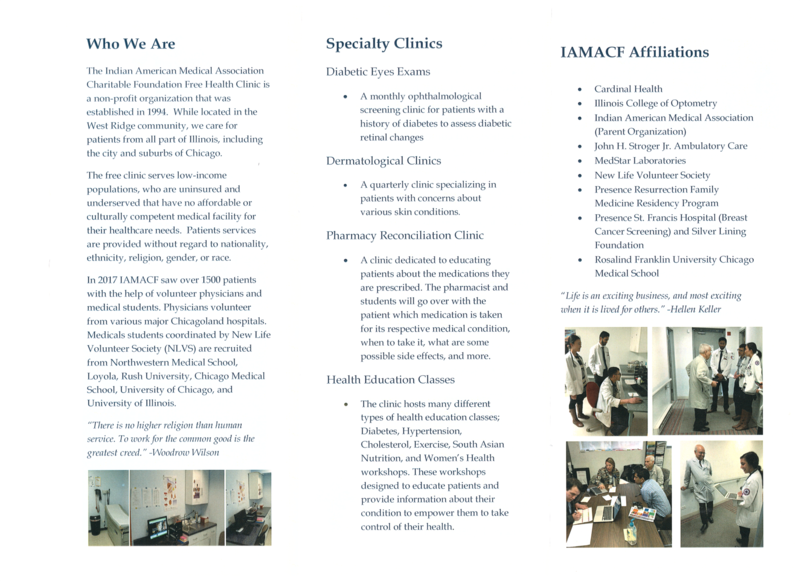 The free clinic serves low-income populations, who are uninsured and under-served that have no affordable or culturally competent medical facility for their healthcare needs. Patients services are provided without regard to nationality, ethnicity, religion, gender, or race. In 2017 IAMACF saw over 1500 patients with the help of volunteer physicians and medical students. Physicians volunteer from various major Chicago-land hospitals. Medicals students coordinated by New Life Volunteer Society (NLVS) are recruited from Northwestern Medical School, Loyola, Rush University, Chicago Medical School, University of Chicago, and University of Illinois. Become a volunteer to see our patients. This can be just a few times a year. Make a tax-deductible donation to the clinic. Be a spokesperson for the clinic to the community. 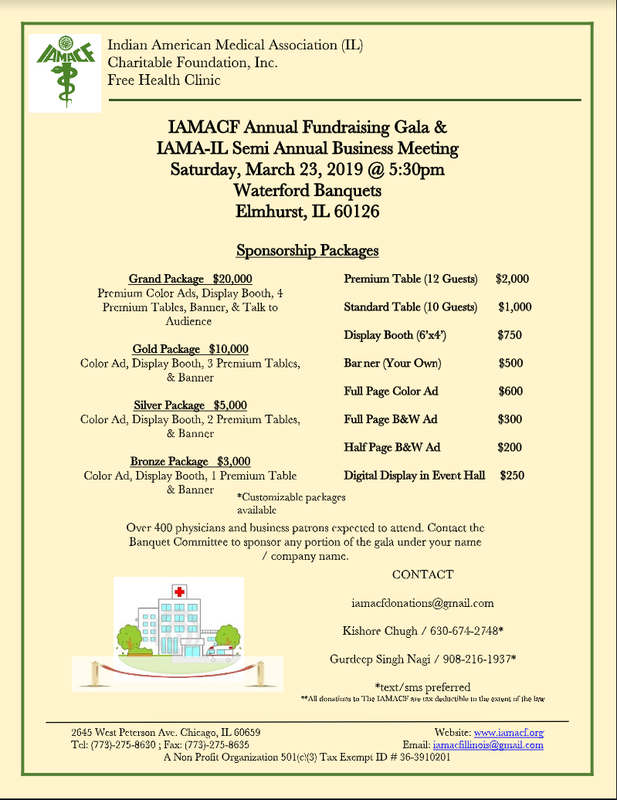 Would You like make a Tax-deductible Donation to the IAMA Charitable Foundation? Where is the clinic and what are the clinic hours? There is parking available for physicians behind the clinic. These spots are accessible via an alley on the east side of Rockwell St, just south of Peterson Ave.
How many patients are typically seen each clinic session? Approximately 15-20 per physician. When we have two providers the clinic can see double the patients. Will I work with medical students? And what is the flow of clinic like? Medical students will be in the clinic on Sundays. The students will conduct a focused H&P for each patient, and then present to the attending physician. The team will discuss the patient, agreeing upon an assessment and plan. They will then return to the patient’s room to discuss the plan of care. Students are then expected to complete the progress note to the best of their ability prior to the attending physician signing the chart. Students also wrap up their cases based on the recommendation of the physician by taking their patients to the phlebotomist, providing referrals, and/or ensuring that they receive all their medications, if applicable. They also discuss proper patient follow-up before discharge. Students are allocated 15 minutes for their initial H&P, 5-10 minutes for attending presentations, and a final 10 minutes to complete their case with discharge. What services are we able to provide in the clinic? The clinic has a full-time phlebotomist on service. Labs that are provided include basic and complete metabolic panel (BMP/CMP), complete blood count (CBC), fasting lipid panel (FLP), thyroid function test (TSH), and hemoglobin A1C (HbA1C. Also, can do EKGs. Free medications are also provided by the clinic pharmacy. There is a limited formulary which you can see when you are in the clinic. Patients can also be referred to Wal-Mart, Meijer, or Target Discount Drug programs. What if a patient needs a specialist? We have consult forms that we can fill out and send along with the patient to Stroger Hospital. Illinois's Good Samaritan Law covers all practitioners: Medical doctors, Advanced Practice nurse, Physician Assistant, Nurse, Pharmacist, Physical therapist, Podiatric physician, Social/Mental Health worker. What EMR is used and what is documentation like? We have Practice Fusion which is quite simple and the medical students can also help you get to know the EMR on your first day. The medical students will complete the progress note and the attending physician is asked to make any required changes and simply sign the note. You can sign your notes at the end of clinic or remotely from your home. Patients seeking health care at our clinic qualify for free health care if they do not currently own a health insurance policy, regardless of race, religion, ethnicity, or circumstance. Patients are seen on a first-come-first-serve basis. No set appointments are made at this time. 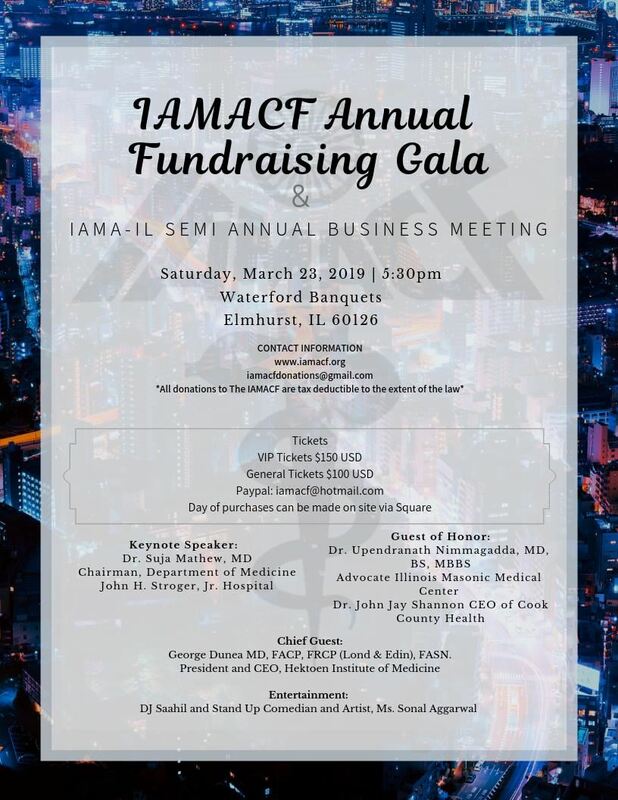 An enriching and rewarding experience giving back to the community and individuals that are in need of vital healthcare, teaching medical students, seeing interesting pathology, and on the weekends there is a free lunch thanks to the generosity of one of the local Indian restaurants!